Supervision services for the design, supply, installation and maintenance of the signaling and telecommunications system of the Saudi Railway Lines 1 and 2: Dammam – Hofuf – Riyadh / Dammam – Hofuf – Al Kharj – Riyadh. Section length: 430 km. Technical assistance services to the Saudi Government in order to upgrade railway facilities. 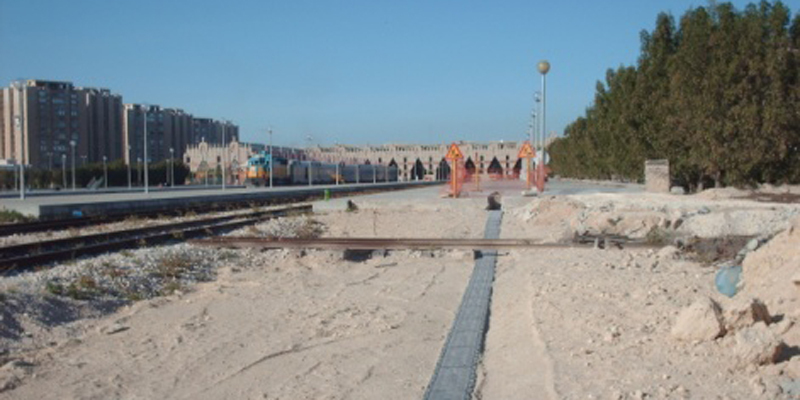 The project consists in the installation of ETCS Level 1 and GSMR systems on the main SRO network (almost 1,000 km long). The current railway network of the Kingdom of Saudi Arabia covers 2 lines, connecting the capital city of Riyadh with the port city of Dammam, in the Arabian Gulf. At present, these two lines do not intersect. The railway office in Dammam controls train traffic. Common section of Lines 1 and 2: from Dammam to Hofuf, double-track line, with an approximate length of 140 km, including 7 stations. Common section of Lines 1 and 2: from Station 43 to Riyadh, double-track line, with an approximate length of 15 km, including 4 stations.